Put the oil and butter into a large baking dish and leave in the oven for a couple of minutes, until the butter melts. 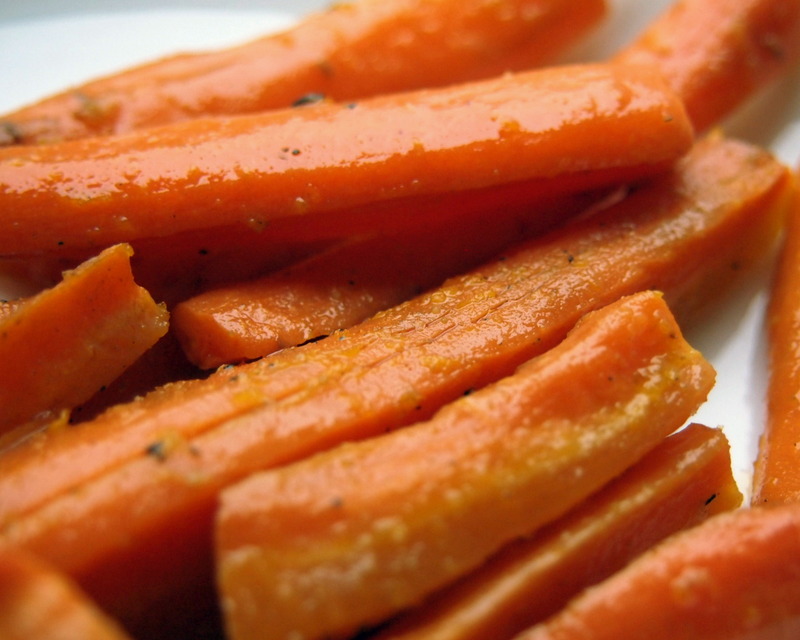 Remove from the oven and add the carrots, cumin, and plenty of salt and pepper. Toss together, cover with foil, and return to the oven for 30 to 40 minutes, until the carrots are tender. Remove from the oven, take off the foil, and give everything a good stir. Then return to the oven, uncovered, for about 20 to 30 minutes, so the carrots start to caramelise.